When I teach my Research Methods students, I often ask them to interrogate their primary sources. When you’re working with documents—whether manuscripts from the 17th century or blog posts that were published minutes ago—you need to analyze them like detectives. Nothing should be taken at face value. Often, this means that a document may need to be read several times to unravel its meaning. What type of document is this? A letter? Diary? Newspaper article? Is it the original or a copy? If a copy, is it, for example, a photocopy or a translation? How might deviations from the original affect your analysis? What is the document’s date? If unclear, what would be a reasonable estimation? What events does it mention that might give clues to when it was written? Who is the author? What might the motivations of the author be? What can you infer about the author if the document is unsigned? What sort of bias or lack of knowledge might the author have? Where did the author write the document? If not clear, where might the location be? Why and under what circumstances did the author write the document? How might the circumstances have influenced the document’s content, tone, and style? What does the document say? What does it omit? Is there any reason to believe that the document is forged, in whole or in part? Was the document published? If so, when? Did the author intend for it to be published? If your document is part of an edited collection, was it edited, abridged, or translated? What other documents are presented with it? If the document is unpublished, who preserved it? An archives or a private collection? Who is the document’s intended audience? 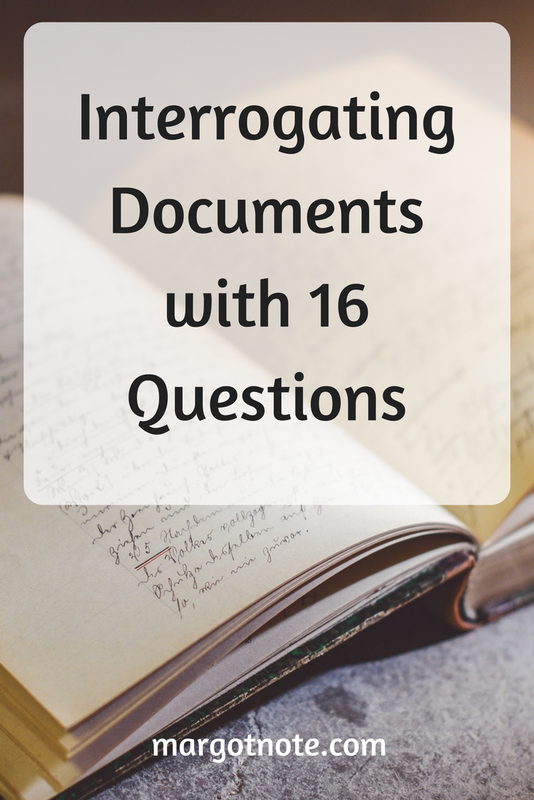 What does the document assume that the reader already knows about the subjects discussed? What additional information would help you better interpret the document? These are just some of the questions that should be asked of any document. What other questions do you suggest?